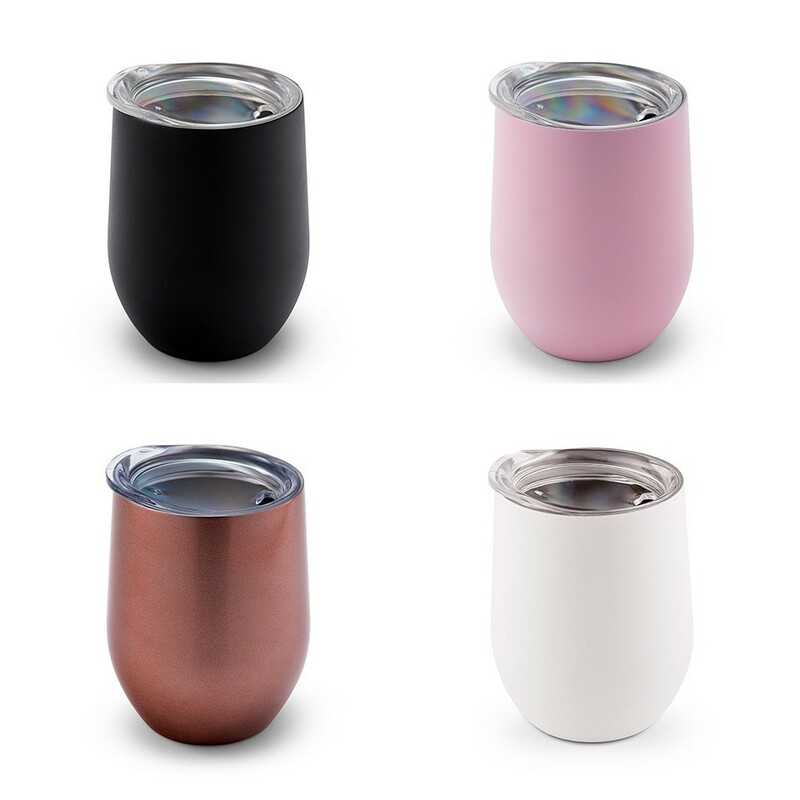 This perfectly plain double-walled stemless travel tumbler is for more than just sipping wine! Fill this stylish and trendy travel tumbler with your favorite hot or cold beverage while you and the girls are out on the town. A plastic lid helps to keep your drink in place and keep it just the right temperature for longer. The cute "Bride Tribe" design makes it extra special to celebrate an upcoming wedding with your favorite ladies! Even better, you may add your bestie's name below the design in your choice of three colors. Sold individually. Better yet, you get to choose from four (4) terrific tumbler colors.